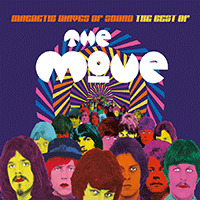 Esoteric Recordings are proud to present 'Magnetic Waves Of Sound – The Best Of The Move: 2 Disc CD/DVD Deluxe Remastered Edition', due for release January 27th! Esoteric Recordings are proud to announce the release of a new re-mastered CD & DVD collection by THE MOVE. “Magnetic Waves of Sound” features a newly re-mastered 21 track CD featuring all of the Move’s UK hit singles, along with key album tracks from their four studio albums. The accompanying hour long DVD (NTSC / Region Free) in this collection is a true first, and features 21 appearances on BBC TV and German television and a promotional film, all shot between 1967 and 1970. These include a performance of ‘Fire Brigade’ on Top of the Pops from February 1968 and the band’s entire Colour Me Pop performance for BBC 2 from January 1969. Also featured is a rare promotional film of ‘I Can Hear the Grass Grow’, a trio of songs performed live from the German TV show Beat, Beat, Beat (recorded in June 1967) and a fine selection of Move appearances on the German TV show Beat Club, all gathered together on DVD officially for the first time. 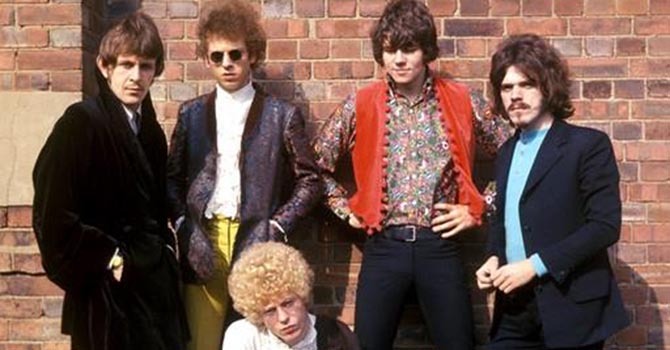 Of all of the groups to emerge in Britain in the latter half of the 1960s, THE MOVE was arguably one of the finest. A powerful act on stage, the group were blessed with one of the most imaginative songwriters of his generation in Roy Wood. Magnetic Waves of Sound is a fitting celebration of the legacy of The Move. Magnetic Waves of Sound includes a lavishly illustrated booklet and features a new essay by Mark Paytress and also includes a poster. Pre-order ‘Magnetic Waves Of Sound – The Best Of The Move: 2 Disc CD/DVD Deluxe Remastered Edition' here.